Unlocking your MIFI (Mobile Wi-Fi) modem gives you the opportunity to use any other network provider SIM other than the one lock to it. 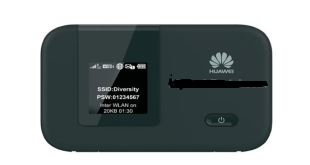 In this post I will break it down how to unlocked Huawei E5372 Mi-fi modem from Spectranet and use it on Swift Networks, MTN, GLO, ETISALAT, AIRTEL or any other network provider of your choice. The Huawei E5372 is a mobile modem router that supports 4G LTE which uses the conventional SIM card. Each of the E5372 modem sold of any network provider is tied the particular network service, inserting any other SIM card won’t work except unlocked. When unlocked, the Huawei E5372 Mi-Fi router can work with any GSM SIM card or any ISP that provides 4G LTE service. Currently, the major 4G LTE service provider are Swift, Spectranet, and Smiles. Step 3. Next step will be to get your modem unlocking code from reliable Huawei Code Calculator. Step 4. Most of online code calculator do require a small amount of fee ranging from $5 to $10 but you will get Free from modem unlock Site. Visit the direct link of Modem Huawei Code Unlocker and it get it done. Step 5: Enter Your IMEI and Model Number in IMEI and Model Number Box respectively and Click on Submit IMEI. Step 6: Copy down your generated Unlocking Code for your Huawei Model. Step 7. Now insert any other network service provider SIM (Invalid SIM) in your Huawei E5372 LTE Mobile and Turn on your mifi modem. Step 10. Now, enter the unlocking code generated with your IMEI from the Huawei Code Calculator, as explained in Step 6 above. Step 12. Enjoy your unlocked Huawei E5372 LTE Mobile WiFi Modem!! Related Posts: How to, ICT, Unlocking tips. Labels: How to, ICT, Unlocking tips. What respond did you get?? ?